Moisture is a highly destructive force in the indoor environment and needs to be mitigated as soon as it is found. It can develop gradually or occur suddenly; either case can cause expensive damage to the structure of your home, potentially even mold. AdvantaClean of Des Moines Central provides moisture control appointments to find the source of the moisture issue and begin the mitigation process. Moisture can build-up inside your crawl space, basement or attic as these areas are typically dark, enclosed and under ventilated. Many homeowners in Des Moines are not aware of the moisture issue until severe damage is done. Mold is a prevalent concern in these situations, as mold needs moisture to grow, and it only takes a little bit of moisture to feed mold. 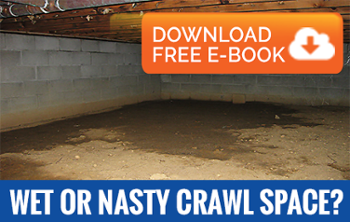 HOW DOES CRAWLSPACE MOISTURE AFFECT YOU? Crawlspace moisture can come from several different sources like leaking HVAC systems or ducts, rainwater seepage, lack of ventilation and sometimes animal occupancy. Crawl space moisture is escalated by lack of a vapor barrier or a vapor barrier that is torn and tattered with age. HAVE UNWANTED MOISTURE THROUGHOUT YOUR HOME? Basement moisture is widespread and made worse if your basement is entirely underground and unfinished. Discovering the source of your basement moisture is the most important step in a moisture control appointment. Fortunately, our Des Moines technicians are skilled at diagnosing the cause of your moisture issue. Attics are mostly unused and unthought of areas of the home, which causes attic moisture to go unnoticed and unmitigated. Attics are frequently used as convenient storage spaces, but they are much more than that. Attics hold portions of your HVAC system and the majority of your house's insulation. It's important that you provide your attic with the proper maintenance and care that is required. Attic moisture can also grow mold that spreads quickly and needs expensive repairs. If you've found or are concerned about attic moisture plaguing your home, AdvantaClean of Des Moines Central is trained and prepared to offer you moisture control and mitigation. Call us today to schedule an appointment and learn about all your options. CALL US TODAY FOR MOISTURE CONTROL SERVICES!